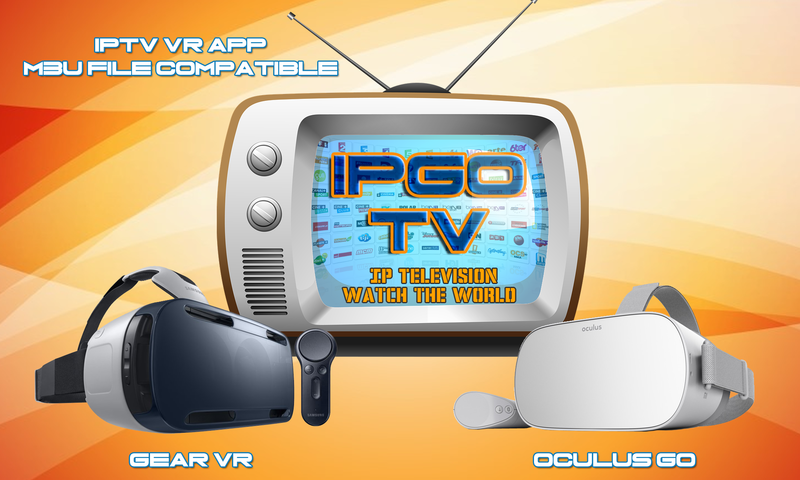 IPGO TV. Watch Live TV Channels from around the world. See the whole world of TV Channels in different locations on your Oculus GO / GearVR. Put or download a M3U File on the Oculus Go / GearVR and in the next moment you have your favorite TV Channels on the GO / GearVR. IPGO TV is like Kodi or SmartTV.